In this video performance, a different currency is being used and is not the one you will receive. You do not receive a dvd. 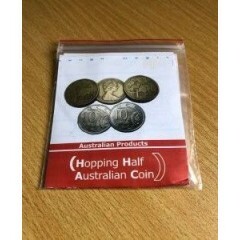 Effect: Two coins are showed, one is a Australian $1 dollar coin and the other is a Australian 10 cent coin, both in the palm of the left hand. You take the $1 and it is placed in your pocket, when you open your hands, both coins will be in your palm again. Then you take the 10 cent and it's placed in your pocket and again the coin returns to your hand. 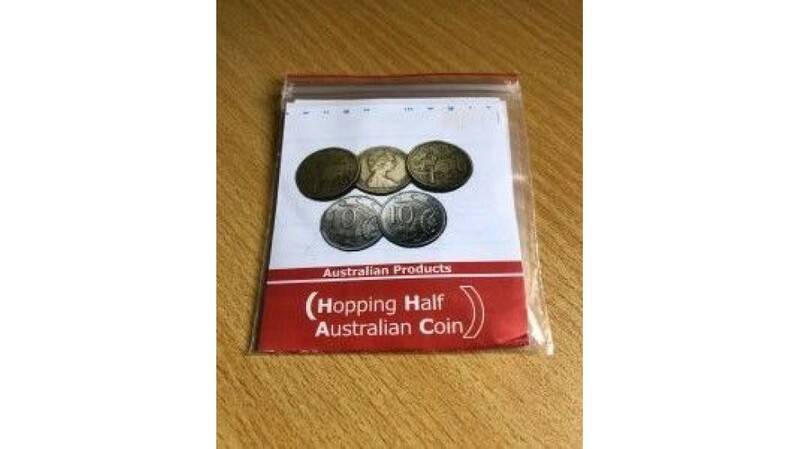 Again you take the 10 cent, it's placed in your pocket and again the coin returns to your hand. Finally you take the $1, open your hand and there aren't any coins. The last coin has disappeared. There are many different amazing routines possible with this gimmicked coin set.